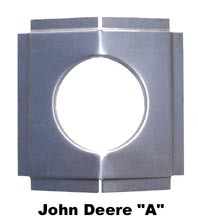 John Deere A & B hood patch. 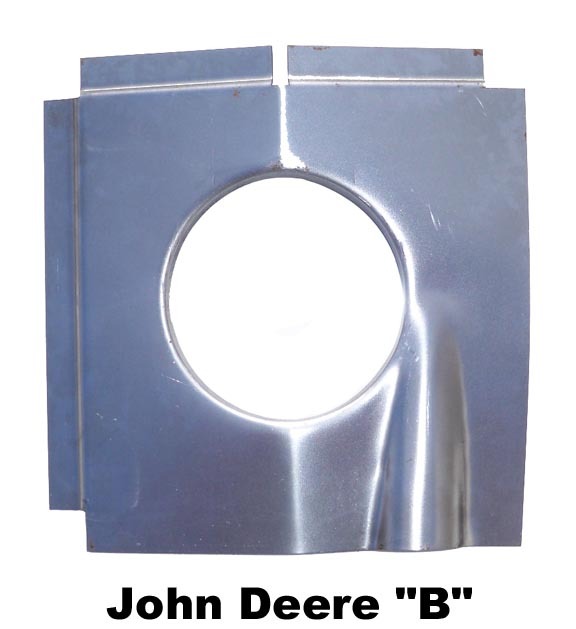 Our John Deere hood patches are designed to weld on from the bottom and have the original rolled edge muffler opening. 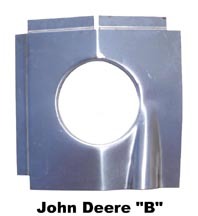 The B hood patch is installed much the same way except that it is only flanged on two sides due to the rolled dent for the steering shaft to pass through. Some additional body work is required on the two non flanged sides, but it is still a lot easier than trying to repair the hood from scratch. 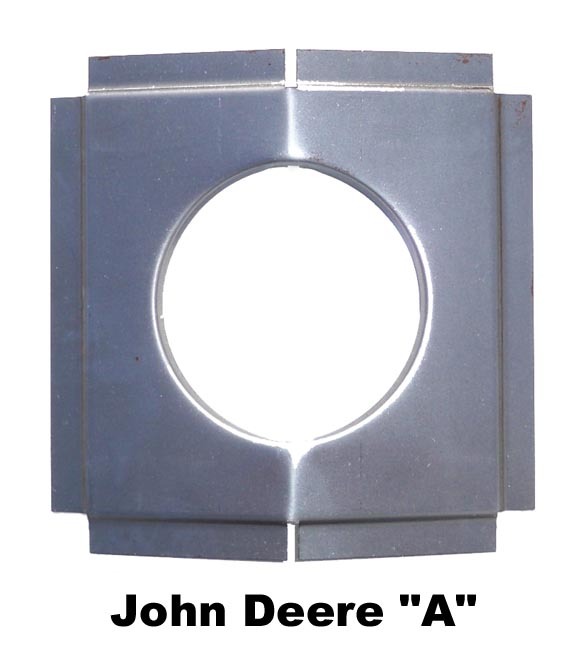 John Deere A & B muffler patch.